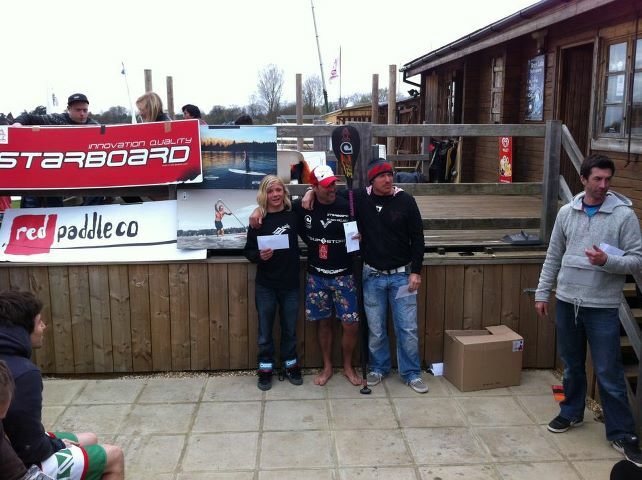 On the 30th March a few boys from the Jersey SUP Club (John Harvey, Tim Rowe, Richie Langford, Aaron Rowe and Ben Langford) headed to the UK for the 2012 Frostbite Regional Final at Bray Lake just outside Reading which was being held on Saturday 31st March. 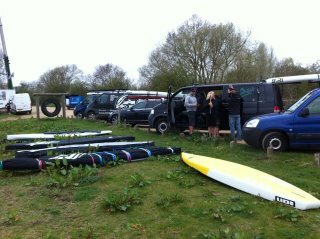 34 racers turned up for the event which was split in to Unlimited, 14ft, 12’6, Fun board, Ladies and Juniors. There were 3 races set for the day. 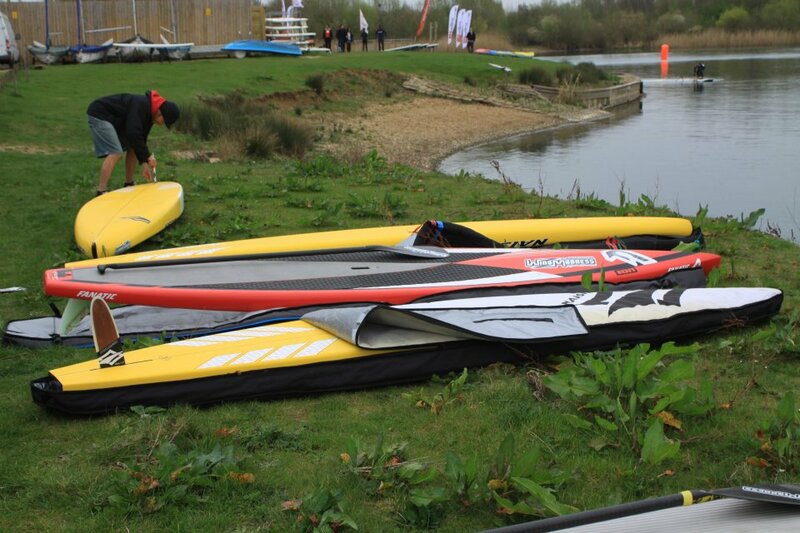 Each race would be a 1 mile lap of the lake which involved 2 major turns and narrow gates to paddle through. Each race you get points for where you place which get added together at the end to get you final ranking. 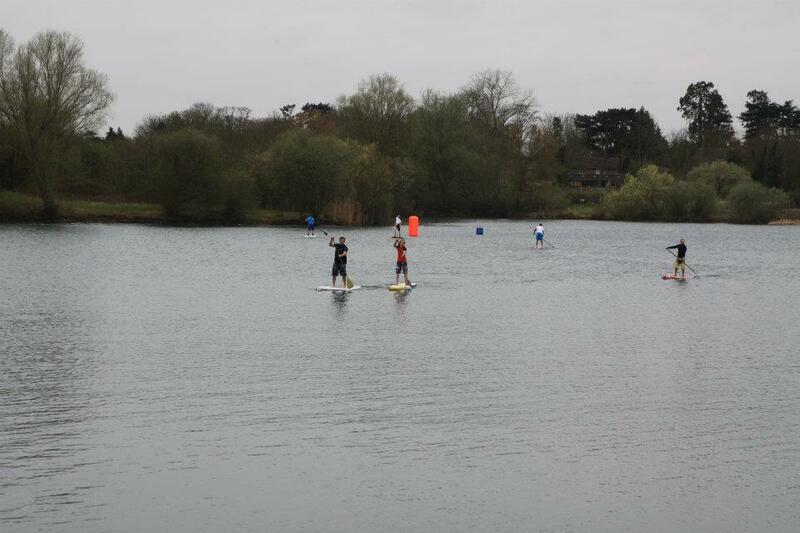 The start of each race was done in the water with paddlers lining up as best they could between 2 markers. On the horn it was a mad scramble to get in front otherwise you got caught up in all the wash and wake from the other boards. 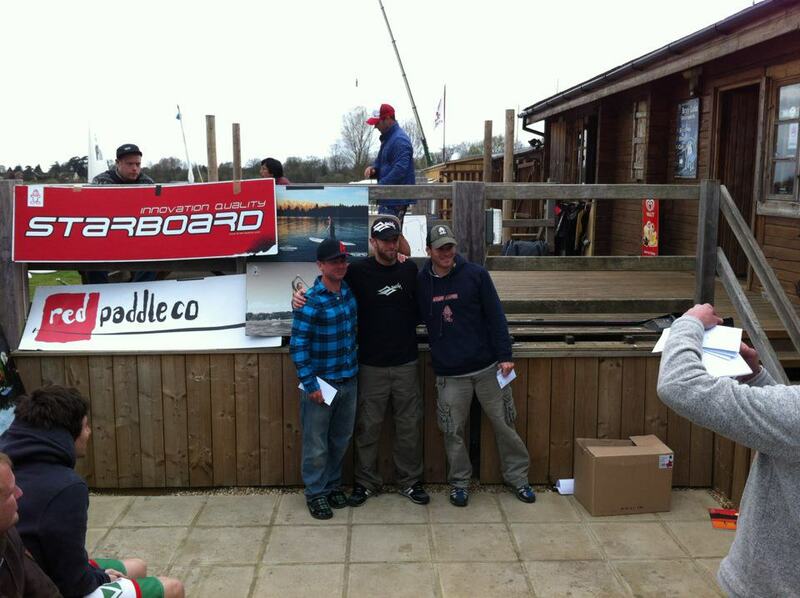 Everyone from Team Jersey paddled really well with John Harvey taking 3rd in the 12’6 race class and Aaron Rowe taking a 1st in the Juniors and a 3rd in the 14ft class. Peter Holiday gave Paul a real run for his money for 1st place. A big thank you to John Hibbard from Starbaord UK for arranging the event. Video of the day to follow soon.